Jamie and I were walking down Ninth Avenue towards 14th Street to catch the bus after having a fun time at the opening party for Chris Stein’s new exhibit of Debbie Harry Photos, which was held at the fabulous Dream Hotel on West 16th Street, when we passed by the headquarters of the Google. 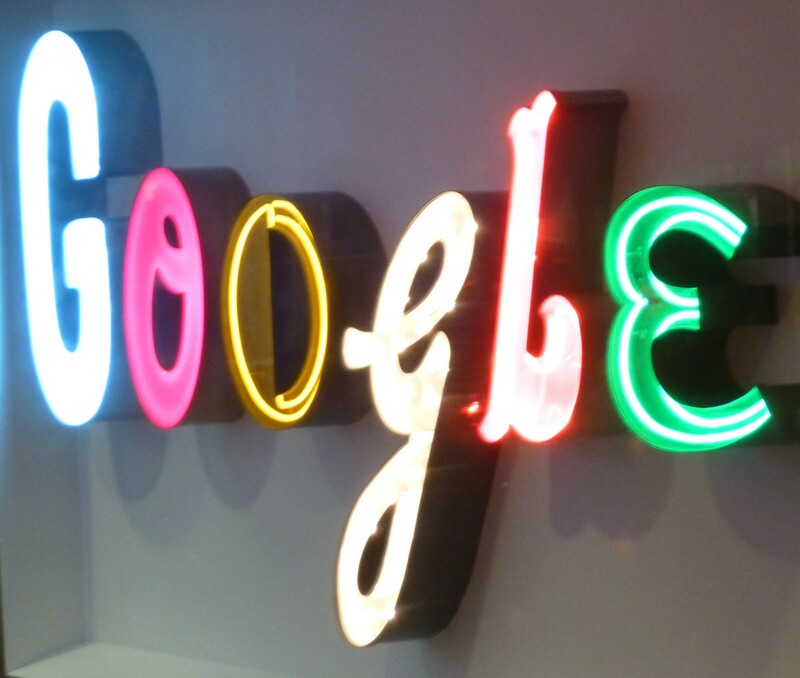 I was, of course, immediately attracted by their huge Neon Google Doodle sign on the wall of the building’s lobby, which I was able to shoot through the locked revolving doors with a little adjustment of the camera lens. Very Nice. Hilariously, just a few feet down the road, we saw the neon sign pictured below, which I discovered (via Google – Ha!) is by Lower East Side icon Clayton Patterson. Apparently, “Elgoog” is a thing, but I don’t feel like going into that right now.